Something is missing! What! no human mark on the landscape except for a small footpath? 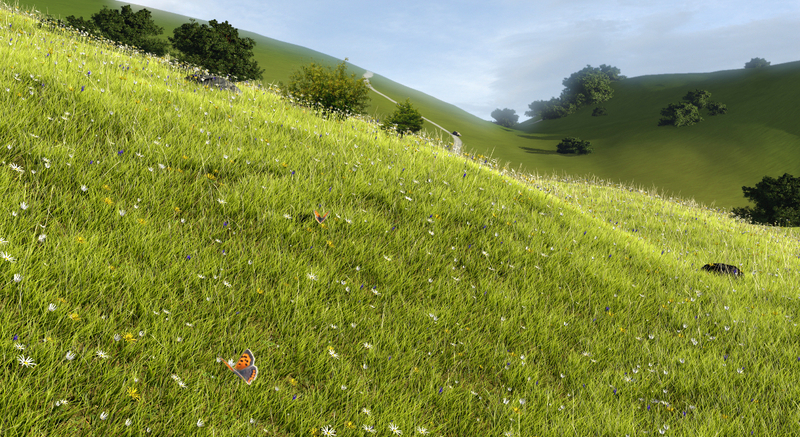 This is my personal scene based on the grass tutorial in Andrew Price’s Nature Academy. I had fun following such a non-architectural subject – something rather new for me – hence the butterflies in the foreground 🙂 The distant hills are not very convincing but maybe I’ll try to improve that later.